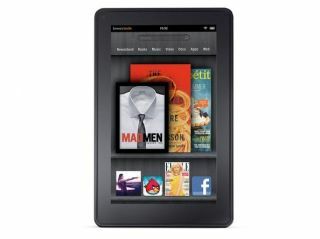 Amazon planning Kindle smartphone in 2012? Amazon looks like it's not content with just having a shot at the e-reader and tablet market, with reports emanating from Asia that it wants a smartphone too. According to CitiGroup, Amazon is looking to launch a smartphone in Q4 2012 in association with Foxconn International Holdings, and will aim it at the cheaper end of the market. The research note states that the phone will cost Amazon $170 (£107) and that the company may actually sell it for close to that amount, losing money but increasing the impact in the market. "For a normal brand like HTC, they need to price the product at US$243 to make 30% gross margin. If Amazon is actually willing to lose some money on the device, the price gap could be even bigger," notes Kevin Chang of CitiGroup in Taipei. It looks likely the phone will be running Android, just like the Kindle Fire, as despite not explicitly mentioning Google's OS, stipulations of a payment to Microsoft being necessary hint strongly this will be the case. The only question remains over why Amazon would actually want to release a smartphone; an e-reader and tablet make perfect sense, given the firm wants to use the devices as a platform to farm out its content. But a smartphone would only really be useful for music and some tolerant movie fans - and it will need to be pretty special to be a hit at the end of next year. We'll rate this rumour right down the middle - after Amazon's recent exploits, we wouldn't put it past the online giant to meddle in another market.